Your driving privilege: When you are charged with driving under the influence in California, the DMV can suspend your license. Even after your sentence is complete, others may not trust you to drive. Your career prospects: With a driving under the influence conviction, you can generally forget about any work that involves driving. Even when a job doesn’t involve driving, employers who see a DWI on your record may decide that you aren’t the candidate they want. Your insurance premiums. A driving under the influence conviction means that your insurance premiums will jump, and not just your automobile insurance. Life insurance companies consider driving under the influence offenders riskier to insure. Your emotional well-being: Many driving under the influence offenders feel shame and guilt and experience resentment. Others may stigmatize you out of misunderstanding or simple prejudice. More: A D.U.I. conviction can keep right on impacting your life in ways you may not have considered. A D.U.I. offender, for example, may lose his or her voting privilege, at least temporarily. 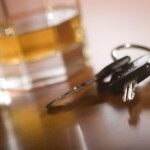 The ultimate ramifications of a DWI conviction only emerge over time. The costs of a D.U.I. 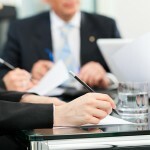 conviction always extend beyond the merely legal costs. Don’t risk your future. A good California driving under the influence defense lawyer may be able to have your charge reduced or dismissed; if you case goes to trial, an experienced driving under the influence defense attorney will develop an effective defense strategy and fight aggressively for your acquittal. If you face a D.U.I. 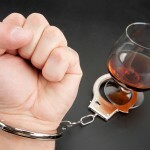 charge, now or in the future, get the help you need and call a good DWI defense lawyer immediately.